Well, here’s a cozy little reason to curl up for a nap! I’ve never seen “Mickey’s Good Deed”, but I’ll BET it has a happy ending. 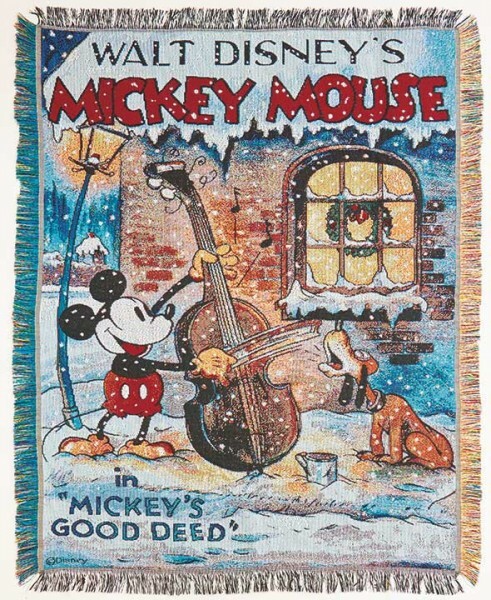 Not much unlike the happy ending your day is gonna have after you’ve had a long winter’s nap under this Mickey Mouse Blanket! We all know that days are better with a little Mickey Mouse and days with a power nap are uh-mazing, so hello best day ever!